To follow up on sales week, this week we’re celebrating marketing week! We’re a small but mighty team here at OpenSesame and take pride in our work (especially this blog!). Training can be a huge help to marketing professionals at all levels and in all industries. Whether you’re starting fresh or a seasoned pro, we’ve got courses to help you sharpen your marketing skills. Want to enhance your creative thinking or get certified? This week’s featured courses have you covered! 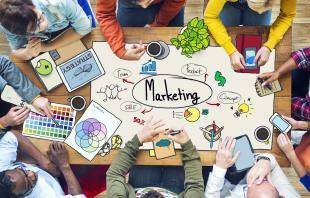 Marketing’s role in business today is critical and has grown over time. This course introduces the key tenets of marketing and shares a five-part framework to improve strategic planning and customer insight skills. Using real world examples and tools, this course guides your team’s effectiveness as strategic marketers. Can’t find your creative groove? Get your groove back with this course designed to help you boost your creative thinking. Get the tools you need including tips on brainstorming, idea generating questions, evaluating creative ideas, overcoming barriers to creative thinking, and more. Prepare for Certified Internet Marketer (CIM) certification with this course aimed at those seeking to gain an overview of how Internet Marketing can be leveraged to achieve acquisition, conversion, and retention of online customers. Get the knowledge you need to succeed in today’s fast-changing online business environment. Do you have the knowledge you need to manage marketing in a 21st century organization? Make sure you’re up to the challenge with this course from VLC Global for 50% off ($25), through 11/26! This course, the first in a series, serves as an introduction to modern marketing and how you can use techniques presented at your company (discount will show at checkout).